August break 2013 – day 2. Today’s theme is ‘circles’. I didn’t know how this would work out as we already had a day out planned and I didn’t know where circles would come into it. 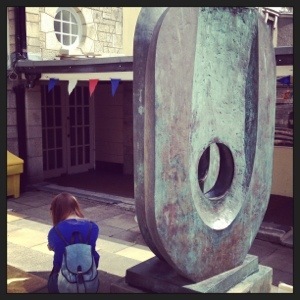 The Barbara Hepworth sculpture ‘Dual Form’ outside the Guildhall in St Ives, and in the background, a porthole window. Coffee cups and saucers, circles within circles! So, that was day 2. And because this week I was reminded by my best friend that this song makes her think of me – it was something to do with my clothes!! 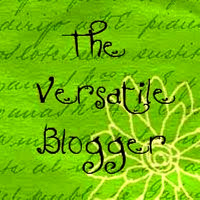 I’m saying a HUGE thank you to Kashi who gave me a Versatile Blogger Award last week. I’d had a couple of pretty miserable days and this was a really lovely surprise. To know that my ramblings and projects are enjoyed really means a lot. And Kashi, who lives a long way from me, feels like a great friend. I think that this is one of the most wonderful things about blogging; making friends and connections with others all over the world, sharing our joys and sadness, and all being part of a pretty great community. I’m a qualified dental nurse. Usually I’m reading at least 3 books at the same time – one next to the bed, one by my chair, and one in my bag for when I’m out and about. I taught myself to crochet to get through a really troubled time. I play classical guitar and flute. I still watch Coronation Street. When I was 7 years old I took part in a gymnastics display for the Queen for her Silver Jubilee. I have a not-so-secret crush on Jarvis Cocker! And there we go – 15 blogs which I regularly dip into, which make me smile and give me inspiration. Oh dearie me. I don’t know quite what happened to Tuesday – it just seemed to pass by before I ever got a chance to get anywhere near the computer!! Lots to do as always so a quick catch-up on Wednesday. I’m on to my 19th colour change and back to Pomegranate, a colour I love. 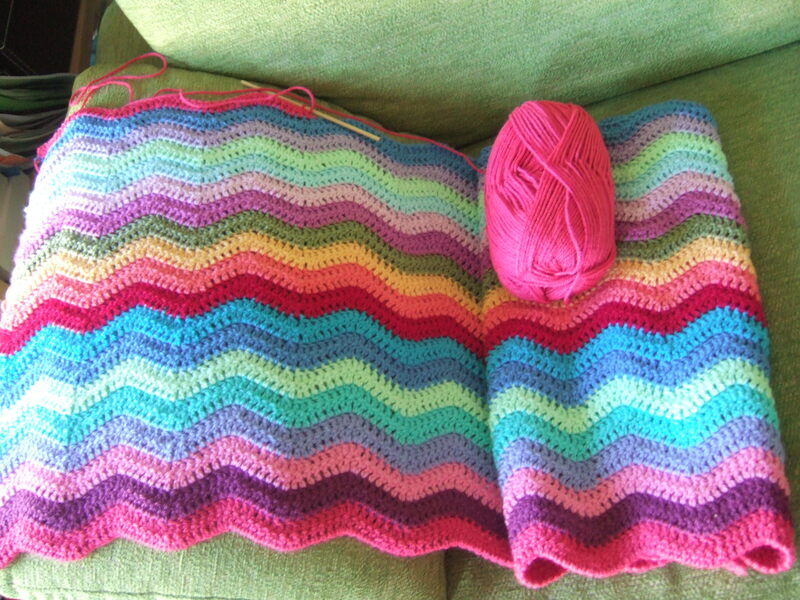 The ripple is now starting to spread nicely over my lap as I crochet which is a bonus now the weather has become decidedly cooler. In fact there may even have been a light frost this morning but as it was still quite dark when I first looked out I couldn’t be definite on that. And on another note – I read Lucy’s post regarding the last dahlias the other day which made me think I must see if the Farmer’s Market had any this week. So yesterday morning I went off into town with this very idea in mind. 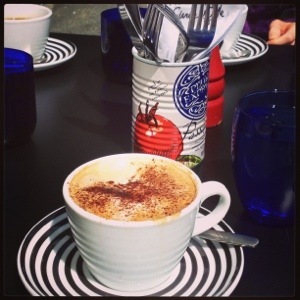 First stop was coffee however with a couple of friends so we could catch up before half term. Then into the coffee shop comes my step-daughter with my gorgeous granddaughter carrying a beautiful bunch of dahlias. For me!! I was delighted on all counts as you can imagine. 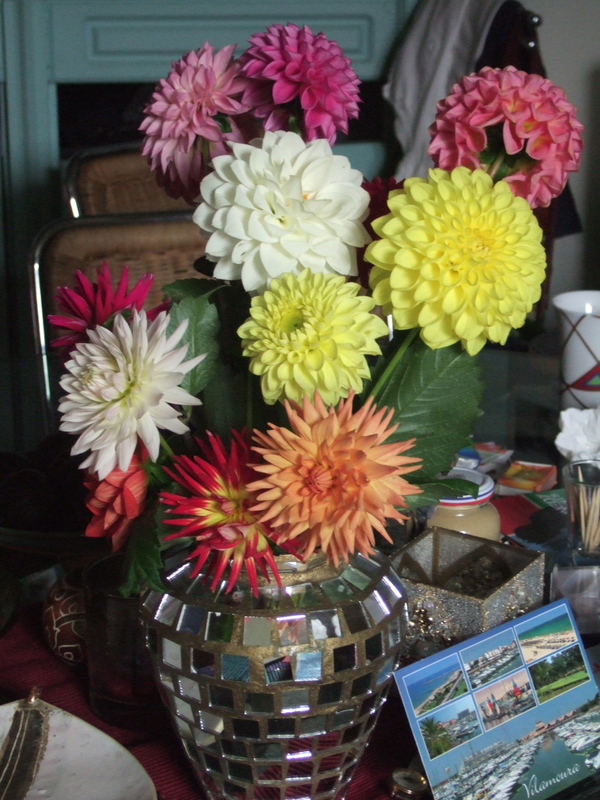 I had coffee and cake with friends, a good chat, met up with family and brought home a fabulous bunch of dahlias! 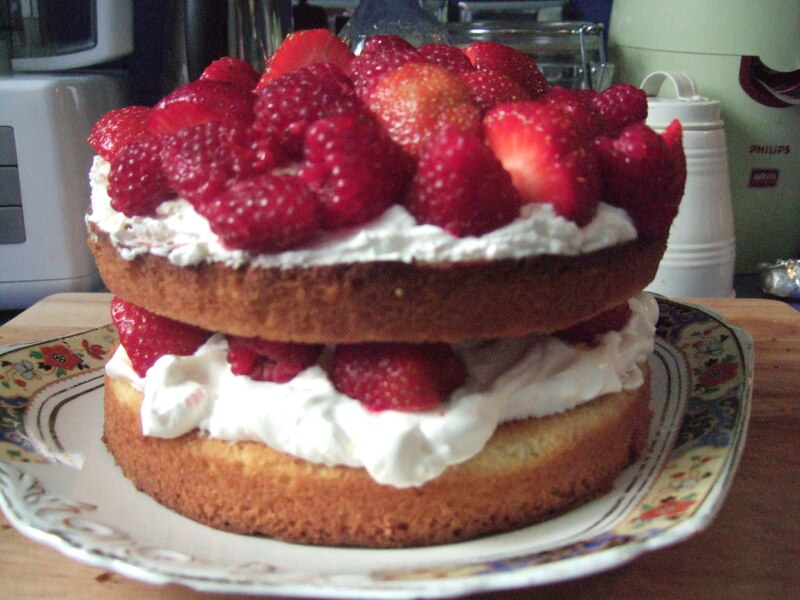 I love it how with good friends they can pop round in the afternoon for a cup of tea and a slice of cake and then before you know it we’re all eating dinner and enjoying a few glasses of wine. And the children are all happily ensconced, watching a film, playing a game, spending time together. It was a perfect Sunday, just haven’t had time to jot it down until now.